Being able to spot a coachable goal is key. If you miss the goal, you'll lose your client's trust. Or you might waste time coaching when your client actually needs counseling or therapy. A coachable goal is one that a customer is ready and motivated to do now. It just feels like it's beyond his/her current level of experience or ability. Changing the behavior or thinking of a third party (other than the client). Overcoming compulsive or addictive behavior. Therapy or counseling would be more effective than coaching. Healing painful memories. Again, therapy or counseling might be more appropriate. The client should be willing to do the work. You're facilitating the process, not doing it for her. 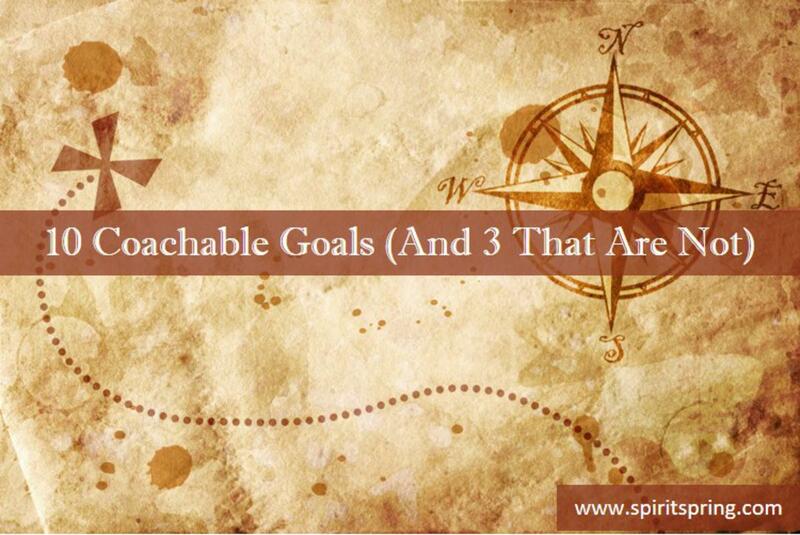 The goal should be challenging, but achievable..
Look for a pattern of coachable goals in your coaching notes. See if you can pick out a theme to build your marketing materials and products around. Focus on clients with similar coachable goals. It's easier to design a signature coaching program when there's a unifying theme. Nailing a coachable goal is a win for you and your client. Spot coachable goals early and leave the non-coachable issues alone.